Sports are an integral part of preppy life. Even if you are not athletically gifted, you should have a working knowledge of many preppy sports, probably acquired through mandatory participation in at least one sport in school. Today, I’ll give you some of my favorites to look incredibly cute and preppy while engaging in a few of my favorite preppy sports. These are perfect gifts for back to school. 2 Preppy Girls has the best preppy pro shop! Their service is stellar and shipping is fast. I love supporting Mommy owned businesses like 2 Preppy Girls. 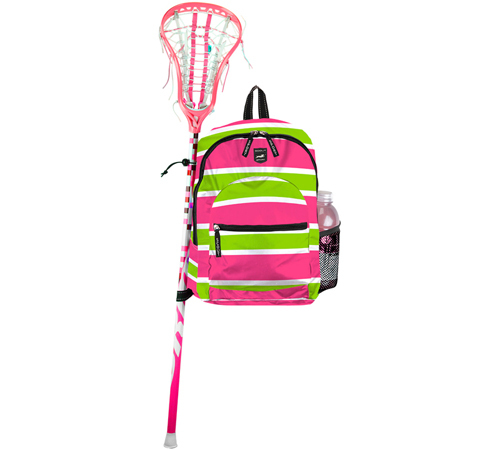 Maryland girls will love the waterproof lacrosse stick bag. Cover your stick in style while you quickly and easily recognize your bag. 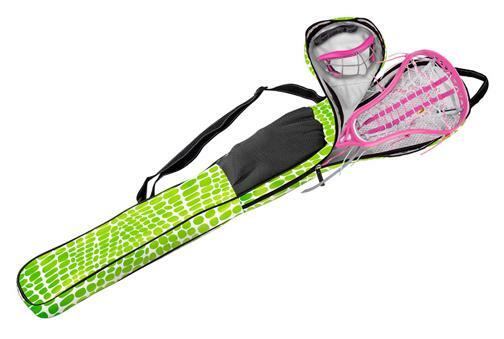 The lacrosse stick bag has internal pockets for keys and id. Golf is another fun sport. 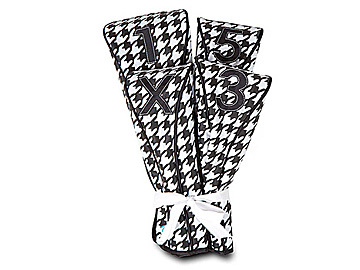 These houndstooth golf club covers are so chic. The golf club covers are padded to protect your clubs. You’ll be the envy of the golf course, no matter what your game is like. Whenever I have the best from the pro shop, my game seems to magically improve. The Sport Stick and Gear Backpack is the perfect backpack for students. Carry all of your books and your sports gear. Perfect for lacrosse or field hockey sticks. Show your style on the tennis court with a preppy tennis tote. Choose to personalize your bag with your name, monogram or initial. With so many options and styles, there's a tennis tote for everyone. 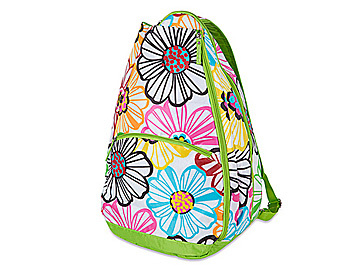 All preppy school students need a backpack! 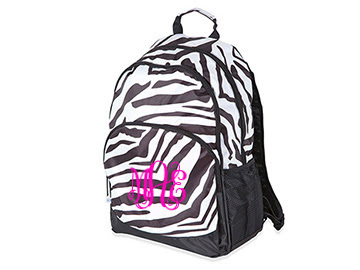 I asked my official experts which backpack was their favorite 2 Preppy Girls backpack and both quickly replied that they love the zebra backpack. After your game, dry off in style at the club house with a spa wrap. This exclusive item is not yet available on the 2 Preppy Girls website. One lucky Maryland Pink and Green reader will win a monogrammed spa wrap. That's up to 6 entries! The contest will end on Monday, August 22 at midnight. The winner will be chosen on Random.org and will be announced on Tuesday, August 23. My favorite item is the monogrammed apron in the green houndstooth! Skip the houndstooth golf covers I want the floral ones! And I am seriously considering the clip board. i LOVE the lax bags! so adorable. I like 2PG on facebook! I have been oogling the monogrammed clogs. I LOVE the golf club covers! Way cuter than the ones that came with my club set! I like the polka dot laundry bag. I like 2 preppy girls on fb. I like Maryland pink and green on fb. love the preppy polka dot coasters! I would love to win the wrap! My favorite thing from the 2 Preppy Girls site is the monogrammed hitch for your car! Very cool. I like both 2 Preppy Girls and Maryland Pink & Green on facebook. I adore the sport stick and gear backpack. My daughter just started playing lacrosse. I Liked both you and 2 preppy girls on facebook. Thanks! Ooo, I'll have to head over there right now! They have such cool stuff for sports gear these days - so much better than what I had for field hockey in high school! 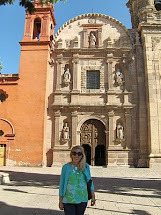 My favorite item is the monogrammed baseball cap. I like 2PG on facebook and I'm pretty sure I like you as well. Love the floral tennis tote! 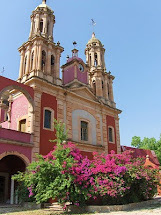 Like md pink and green on facebook! Tried to like 2 pg on facebook-the link isn't working? I love the new pink dog bags!!!!! My fav item from 2 Preppy Girls is the Argyle phone cover. I like 2PG on FB. Thanks for the awesome give aways! What a fabulous giveaway!!! I love the Scout Monogrammed Weekender Bag. My favorite item is the large bee bag in yellow. I like 2 Preppy Girls on Facebook. My fave is the Large Pink Dog Bag! It's so cute! I would love a monogram decal for my car. Pink of course! Love the blackberry cases! They are hard to find!